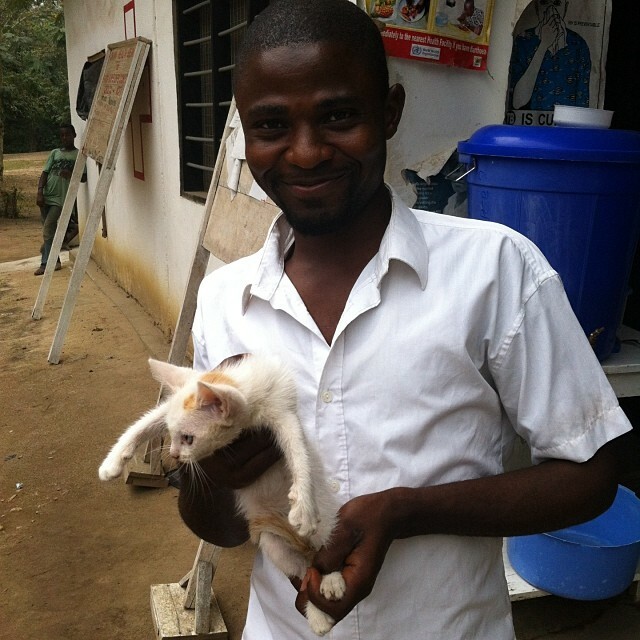 Nuhu with Daisy the cat! 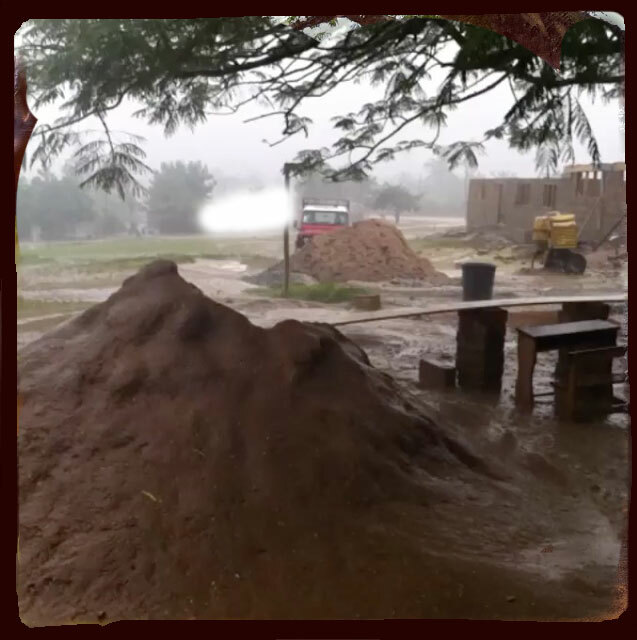 Dry season in Abenta, Ghana. Apparently! 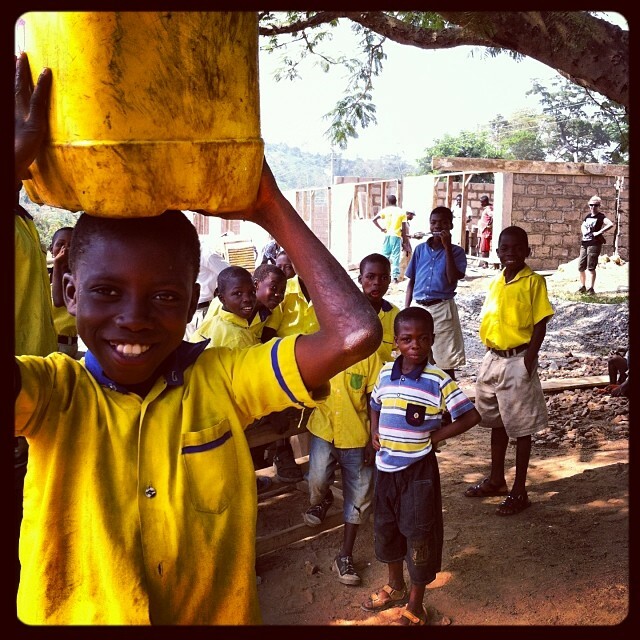 School children at Abenta help collect water for the new school block we are building – it’s a community project. 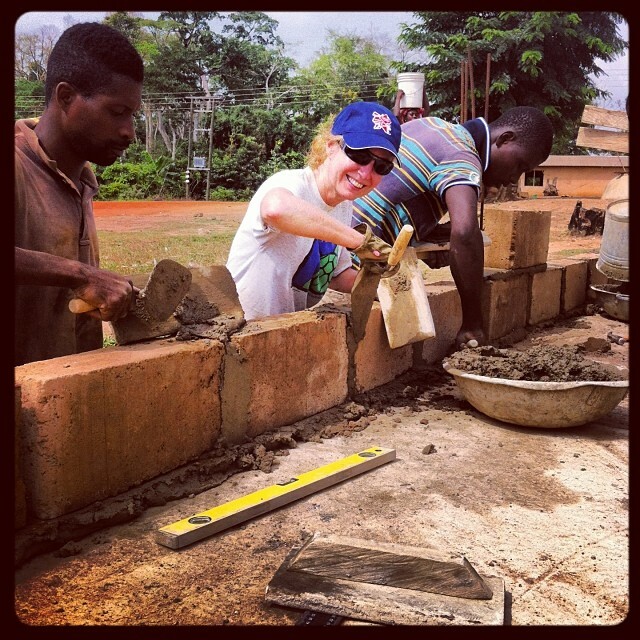 Our volunteer Sue Hillman lays blocks to the new school we are building in Abenta Village, Ghana.